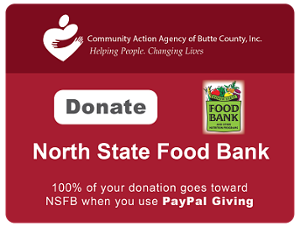 North State Food Bank – Community Action Agency of Butte County, Inc. Shelf Stable food items for CAMP FIRE relief can be donated directly to our North State Food Bank at 2640 S. 5th Avenue, Unit #8 in Oroville, CA weekdays from 12pm-4pm OR by appointment as needed. Thank you for your understanding as our staff is out helping with relief efforts. Click below to make donations to support the CAMP FIRE relief efforts through the North State Food Bank. Every month the North State Food Bank serves an average of 45,000 hungry residents in the six-county region. We partner with great volunteers and food providers to make this happen. The CAA’s North State Food Bank collects and distributes food throughout the service region encompassing Butte, Glenn, Colusa, Plumas, Sierra and Tehama counties. With the help of our extensive network of partners, the North State Food Bank offers multiple programs to help low income families get the food and nutrition they need each month. Below is an outline of the programs that we run with our incredible team of staff and volunteers. Butte County is rich in natural beauty, recreation, education and small industry, but is economically depressed. The poverty rate in Butte County from 2009-2013 was 20.4% with a much higher rate in Oroville (38.6%) than Chico (25.9%) or Paradise (15.4%). While incomes have improved for many, a large and growing percentage of the population has not experienced income gains sufficient to escape poverty. Unemployment is typically higher than the State average, which was 15.9% in the same time period. So with this poverty level there are families in our community who are going hungry every day, because their income isn’t high enough to allow them to purchase enough food. Or in some cases, they are undernourished because they can’t afford the right kind of food, like protein and fresh produce, and instead settle for inexpensive food that lacks nutrients. The problem of hunger isn’t simple, but it is solvable. Food insecurity is a helpful way for us to define where and how our neighbors struggle to afford food. 39,960 (18.03%) of Butte County residents and 27.25% ( more than 1 in 4) of all children in the County experienced food insecurity at some point during the last year according to estimates from Feeding America. 18,535 (59.7%) of public school students in Butte County are eligible for free/reduced school meals according to the National Center for Education and Statistics. 1 in 5 Northern California residents struggle with hunger related issues and the majority of these households have at least one adult that works full-time. A variety of food commodities from the US Department of Agriculture, Emergency Food Assistance Program are distributed at 53 sites for income eligible families and individuals throughout Butte, Glenn, Colusa, Plumas and Sierra counties. With the help of over 150 dedicated volunteers we were able to distribute 54,217 food boxes in 2017, affecting nearly 3000 households monthly. To see a list of upcoming distribution sites see our Commodity (TEFAP) Distribution Schedule 2019 here. To find out if you are eligible from an income perspective, see our 2017/2018 Income Guidelines. Note: not all food products are distributed at each scheduled site. From late Spring through early Fall, we host food distributions in various locations throughout our service area. The food distributed is fresh produce and other perishable items that are available by season. These tailgate distribution events also often include information booths from various resource agencies, such as Cal Fresh, Public Health and Nutrition Education. Those receiving food boxes are asked to self-certify their low-income status. 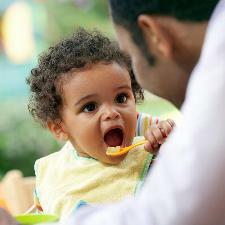 We directly distribute produce to approximately 300 families at each of these events. The North State Food Bank proudly offers a Farm 2 Kids program in conjunction with local education and youth partners in Butte County. 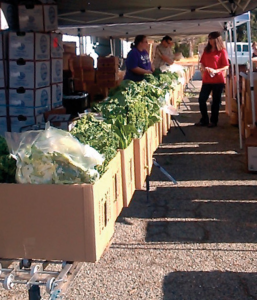 The North State Food Bank provides the fresh produce, and community volunteers from schools and the North Valley Boys and Girls Club bag or box the produce to distribute it to low-income children at their school or recreation site. We partner with the CSU Chico’s Center for Healthy Communities to provide produce for Kid’s Farmer’s Markets at a growing number of elementary schools with a high percentage of students who are low income. These events help children to “shop” for fresh vegetables and fruit, to learn about healthy eating, and to have fun at the same time. We donate approximately 3,500 pounds of fresh produce to each event. Facing the Challenge… and Succeeding! The Community Action Agency’s North State Food Bank is in a unique position to truly help meet the need of families to be “food secure”. We have established relationships with growers, distributors and other community partners to collect the food our community needs. 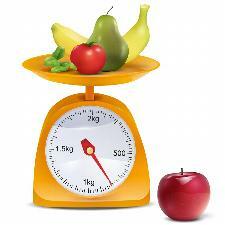 We are able to buy the food in bulk, making your dollars stretch further. We have partnerships in place for distributing the food. We have a location to store the food and the means to transport it. We have incredible volunteer labor pools who are super excited to distribute the food. BOTTOM LINE, THIS MEANS THAT ALL OF YOUR DONATIONS GO TOWARDS THE PURCHASE OF FOOD! The Food Bank has a network of 50 agencies throughout our service area who partner with us in directly distributing the food we purchase and receive from generous donors. Each member agency offers their own unique service, whether it be daily prepared meals, or a weekly food box distribution. You are encouraged to contact a member agency close to you to obtain information about how to receive food services directly from them. Please note: The North State Food Bank does not distribute food directly to consumers out of our warehouse. To become a member agency please contact us.